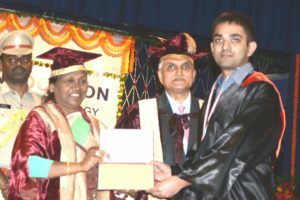 The 27th convocation of Birla Institute of Technology Meshra. 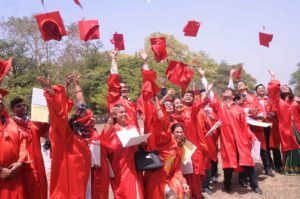 Ranchi, Jharkhand 24 March 2017 :: Jharkhand Governor Droupadi Murmu, Padma Vibhushan Profession Jayant V Nalikar gave medals and degrees to a students during 27th convocation of Birla Institute of Technology Meshra near Ranchi on Friday. Ranchi, Jharkhand | October | 17, 2018 :: Durga Puja : Ranchi :: Bandh Gari Club Devotees seek blessing at 51 Jyotirlinga at Bandh Gari Puja pandal, Kokar in Ranchi on Wednesday. Various Moods of Hemant Soren. Dumka, Jharkhand 27 November 2014 :: During the filling of Nomination in Dumka, Chief Minister Hemant Soren was seen in various Moods. Ranchi, Jharkhand 18 November 2014 :: AJSU Chief, Sudesh Mahto filled his Nomination for Silli Vidhan Sabha seat in the Jharkhand Vidhan Sabha Election 2014. During his nomination BJP State Election co-incharge, Bhupendra Yadav & Arjun Munda ] Former Chief Minister of Jharkhand & Senior BJP Leader [ and other party members were present.